Lots of financial services are good at telling you what you've spent in the past and how much money you have right now. But so far few online money-management systems have attempted to explain to you how much you'll have next week or next month, especially if you decide to buy the cool new laptop you've had your eye on for a while. Making cash-flow projections is difficult, but GreenSherpa's system (now in private beta) looks as though it could work. While it lets you account for regular bills, it also simplifies the task of entering one-time expenses or factoring in a bonus check you're expecting. MixMatchMusic.com helps musicians get together to develop a song, share it--and even get paid for their collaborative efforts. Traditionally, bands have been some variation of four guys from Liverpool--friends who start out just playing music together and later decide to get serious. But what if you live in Livermore instead of Liverpool and you can't find three other musicians in the local scene who are interested in playing the kind of music you like? MixMatchMusic's service should help. 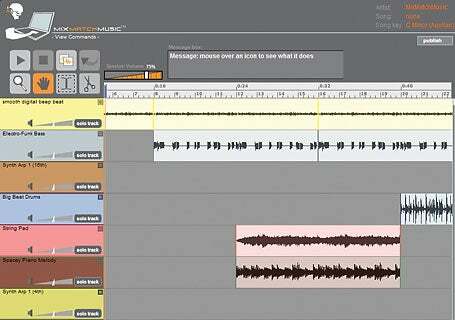 Individual musicians can upload their favorite bass lines or drum patterns. Then a guitarist looking for good accompaniments to his or her new lick can browse through the various offerings and mix the individual components together to form a complete song. If other visitors to the site like the tune enough to download it, all of the artists involved get paid automatically. Whenever a company pitches a new search engine designed to track down people, I test it by searching for a guy with whom I shared a cockroach-infested apartment in Boston. iSearch is the first people-finding engine to pass my test. The free site conglomerates information from public records, social networks, white pages, news sources, and professional connections. I can't wait to reconnect with my old friend. I just hope he's forgotten all about that $200 I owe him.